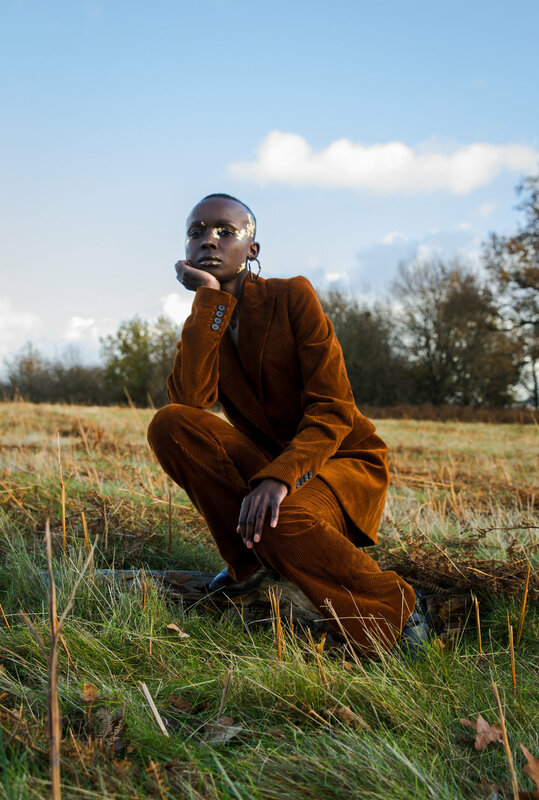 Photographer Adaora Oramah is a Nigerian photographer and creative strategist based in London. Adaora was raised in Egypt where her interest in visual culture and global media developed. She is a Masters student at LSE studying Strategic Communications. She is self-taught, and works mostly with black women and people of colour. As I was getting to know Adaora, I learned of her views and outlooks on the importance of representation and curating stories that are by women and for women. Girl-gaze is especially important to her, so it was a beautiful accident when our humble four person crew comprised of all women of colour. We did not know each other prior to the shoot, but it went so smoothly because we all arrived with this mentality of this work is not only a necessary product of four women of colour who care about representation, but also a place to make beautiful things happen, to have fun, to collaborate. Adaora mentioned when she pitched the project to me that she wanted the outcome of the photo project to be a conversation that we all have around intersectionality and gender lines. It is interesting though that it was during the process of creating and shooting on set where the most meaningful conversations were had. Women who create together bring each other up. It was the learning process, the rubbing of shoulders, thats where the most meaningful conversations were had. When the work demanded criticality of approach and thought, we had to find ways to imbue the work with those desired intentional qualities. That process in itself was the room where we debated how subtleties (and not so subtleties) within aesthetics move people to act, think, feel and reconsider. “This photo project aims to provide a visual exploration on the fluidity and dynamism of femininity through style and dress. By playing with the ‘pantsuit’, widely recognised as traditionally ‘masculine’ attire, the project serves to invert traditional symbols associated with gender roles, femininity and identity. 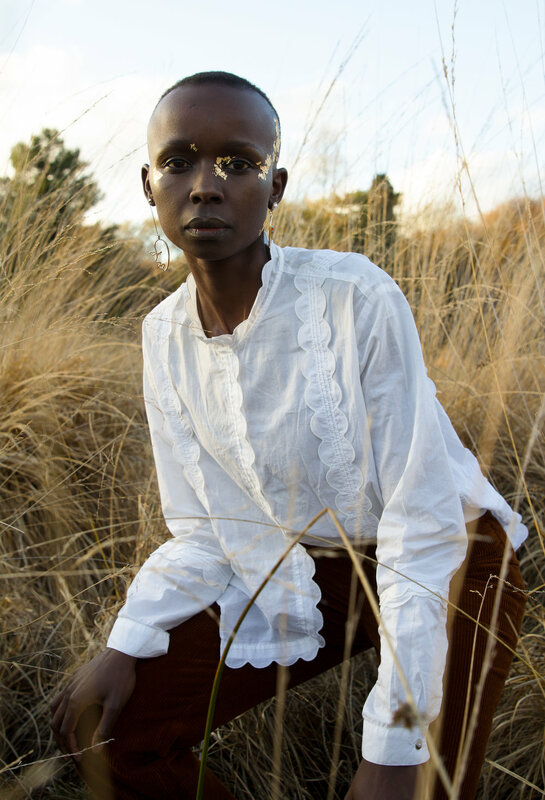 The shoot hopes to contribute to discussions on intersectional feminism and explore the ways black, dark-skinned women navigate harmful one-dimensional and Eurocentric representations of femininity. 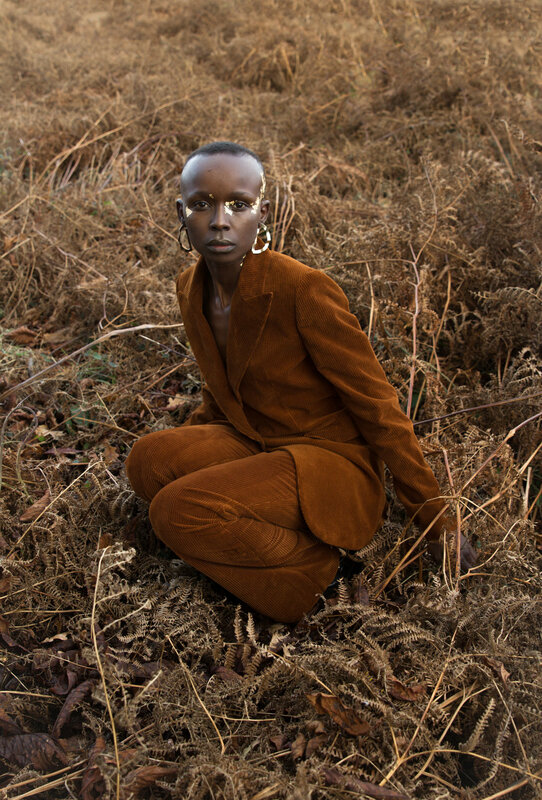 The photos hope to help counter harmful narratives that restrict black female identity and sexuality, as well as dismantle the hyper-sexualized and masculinized tropes imposed on black dark-skinned women.